It’s no secret: America has spent the last several years facing many hardships with shattering impacts on its citizens. And though, people have an opinion about what or who is to blame, regardless, the reality is that America is struggling. There have been moments when it seems that the future is bleak. Confusion, fear and anxiety devour our days, and bleed over into so many tomorrow’s that we are left wondering if that’s all our tomorrow’s are ever going to be filled with. While it may at times seem like this will most certainly be the case, being so consumed with what is going to happen often ends up being a very fruitless endeavor, because the only consistency that the future hold is that it’s unpredictable. But the past, now that’s something we know. We study instants in our nation’s history and understand many of its characteristics. We put significant moments on a timeline; we look at its occurrences and better identify the causes; we learn from our nation’s decisions. And we see that our nation has gone through struggles before, and overcame them. Radio City Music Hall is one such symbol of this strength. It stands for much more than just a place where the elite of the showbiz industry performed and entertained. When researching Radio City, obviously, being that this is a sign industry blog, what first attracted me to it was of course, the sign. Beautiful, larger than life (it’s marquee taking up an entire city block! 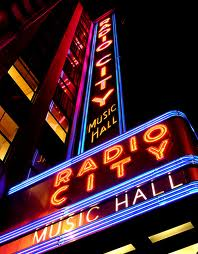 ), and eye-catching, the Radio City Music Hall sign is nationally recognizable. Everything about its construction is meant to draw attention: from its glimmering lights to its ornate design. It makes a statement! While the intent is to make a statement for the company itself, like many historic signs, it ended up representing even more! To understand that, we have to take a look back to another extremely difficult time in our nation’s history: the stock market crash of 1929. This was an absolutely devastating time for many Americans who greatly feared never being able to recover. Although, John D. Rockefeller, Jr., could not solve all the financial problems, he did desire to alleviate some of the burdens Americans were facing. So, in 1932, he teamed up with the Radio Corporation of America and “theatre genius” S.L. “Roxy” Rothafel to design “a theatre unlike any in the world…a place for the people. 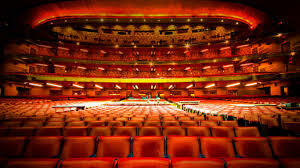 A place of beauty offering high-quality entertainment at prices ordinary people could afford” (History: Radio City Music Hall). 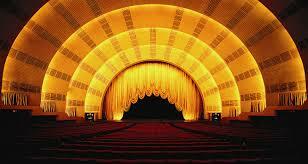 This musical palace, was called Radio City Music Hall. 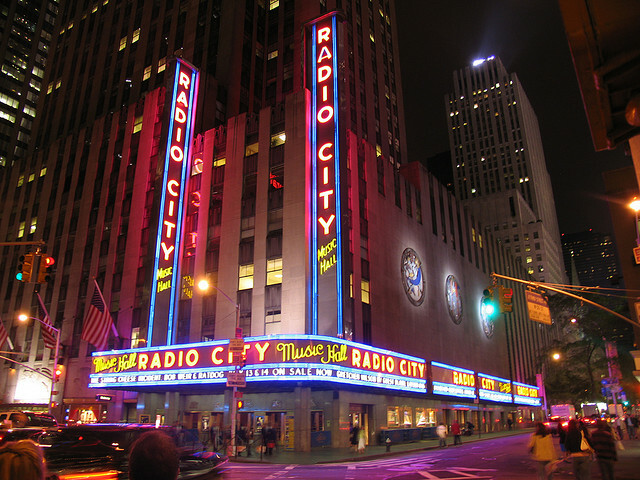 Since its establishment, Radio City has been the host of over 700 movie openings, including National Velvet, White Christmas, and Mary Poppins. Hollywood legends such as Cary Grant, Barbara Stanwyck and Jimmy Stewart have visited to sign autographs. Bette Midler and Stevie Wonder have played to sold out audiences. Its golden interior and golden curtain (the largest in the world) represents not only the Golden Age of Hollywood, but a place of dreaming for its everyday moviegoers, a place where recovering Americans could gather together and be inspired to hope for a “golden” future. And the sign that has boldly been lit for more than seven decades is a reflection of the bright future of America. Looking back now, years later, we can reflect upon, yes the struggle, but more prominently, the bravery it took to overcome staring down struggle and the vision to see the future as more than a series of troublesome tomorrow’s. At the end of the day, Radio City Music Hall is simply another building, and the sign beckoning viewers to step inside its doors, is just another sign. But when we stop to think about what it stands for, when we look beyond the letters and what they advertise, we see much more than neon and construction and design. We can literally glance back at the past. We can remember. Next postADA Signs Part One: What are ADA Signs?